The Maple Wood Pedestal set are scuff and scratch resistant and are the perfect size for highlighting large and small items. 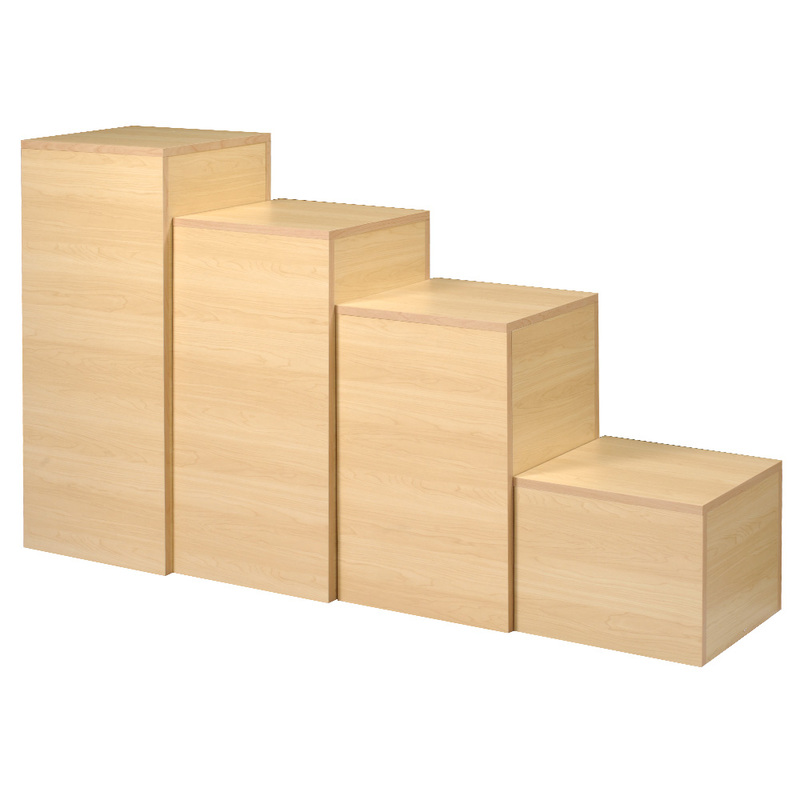 The Pedestals are sold in a set of 4. Available in 15 in. Square and 12 in.,24 in.,30 in. and 36 in. High. 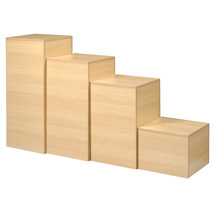 These Pedestals are great for window displays or in middle of the store to highlight new products. Features an open base design. Some assembly required. Picture shows all 4 pedestals as a set. Pedestal Some assembly required.s are sold individually or as a set.